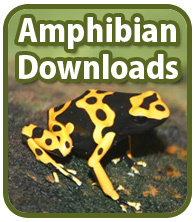 On The Amphibian.co.uk you can find information on keepng amphibians. In The Amphibian Forum you can chat/discuss with other forum users about your Amphibian experience it's a good place to look for help if you have any questions regarding your amphibians. You can also post photos, links and more. The Amphibian.co.uk is a brand new website built with amphibian keepers in mind whether you have frogs, toads, newts, salamanders or Caecilians. The Amphibian.co.uk was set up with the aim of helping other Amphibian enthusiasts and people thinking about keeping an Amphibian as a pet. The Amphibian.co.uk is a non-profit website which has no annoying popup's. TheAmphibian.co.uk is part of TheReptilian.co.uk group, a network of reptile and amphibian related websites giving care information on a host of exotic pets. To keep up with running costs of this website we rely on donations from our users to help cover costs. Donations can be made by debit/credit cards via Paypal and are very much appreciated. To make a donation please use the button below. The word Amphibian is derived from the Greek word amphibios, which means ‘a being of double life’. This comes from two other words: amphi (both) and bios ( life). It is a very apt name for amphibians and refers to their ability to live both in water and on land in the various stages of their life cycle. Even amphibians who spend the majority of their lives on land, will return to the water to breed. Amphibians are thought to be the first vertebrates to leave the water and start life on land over 350 million years ago. They played an important part in the evolution of all vertebrates and have adapted to life in many habitats throughout the world. There are certain characteristics that define an amphibian, but these are generalities and there are always exceptions to the common rules. Amphibians have skin which is permeable to water, so they appreciate life in or near water sources and in damp places. They are cold-blooded and rely on their surroundings to control their body temperature. They usually spawn jelly-like eggs that hatch into aquatic young in the form of gill-breathing larvae or tadpoles. The young will undergo metamorphosis to take on their adult form, which usually allows them to adapt to life on land. There are 3 orders within the Class Amphibia. These are Anura (Frogs and Toads), Caudata (Newts and Salamanders) and Gymnophiona (Caecilians). Anura is the largest order in the class Amphibia, as it includes over 4750 species of frogs and toads in 28 different families. They are also the most widespread group, as Anurans are found throughout the world in all types of different habitats, excluding only the very hottest desserts and the polar regions. Anurans can be terrestrial, aquatic, arboreal or amphibious, so have also evolved to live in all walks of life. The term Anuran is often used to describe both frogs and toads due to the intermixing and lack of definition between the two terms. Generally frogs are smooth skinned and toads are warty, but this is a very hazy distinction, so using the term ‘Anuran’ or ‘the tailless amphibians’ to describe all frogs and toads has become quite common. 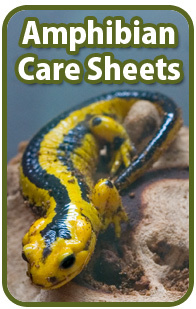 The order Caudata includes all the tailed amphibians, such as Newts, Salamanders and Sirens. Generally members of the Caudata are carnivorous and have long tails, elongated bodies and smooth skin. The definitions that separate newts and salamanders are in a similar situation of frogs and toads, in that they are not clearly defined, but usually a tailed amphibian that is largely aquatic and of a small size is called a Newt (from the Medieval English word ewt), whilst larger more terrestrial species are called Salamanders (from the Greek for Fire Lizard). There are over 432 species of Newts, Salamander and Siren in the order Caudata, separated into 60 genera and 10 families. The order Gymnophiona (sometimes called Apoda) is the smallest of the orders in the class Amphibia, with only around 176 species in 6 families. It is also the order that we know least about as Caecilians are hardly ever seen by man as they spend so much time burrowed deep underground or under water. Caecilians are limbless and have long segmented bodies. They have often been mistaken for large earthworms, snakes or blind worms, but they are not related to any of these creatures. This misunderstanding is echoed in the interpretation of the name Gymnophiona, which is derived from the Latin ‘gymnos’ (naked) and ophis (snake). This reflects the secretive nature of Caecilians and just how little naturalists of the past knew about them. The name Caecilian also has its own misinterpretation. Caecilian is derived from caecus meaning ‘blind’ in Latin, but Caecilians are not actually blind, their eyes are just really small.